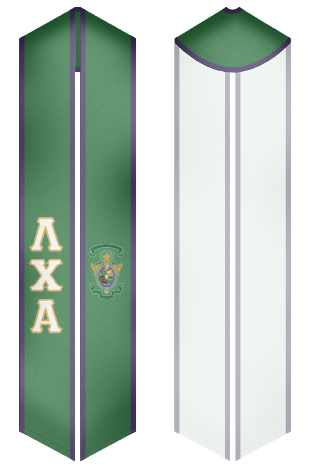 Lambda Chi Alpha fraternity was established by law students of Boston University in 1909. With 280,000 initiated members and chapters in more than 300 universities Lambda Chi Alpha fraternity is considered to be one of the most popular men’s fraternities. Lambda Chi Alpha fraternity is a member of the North-American Inter-fraternity Conference. Its national headquarters are situated in Indianapolis, Indiana. TRUE Brother Implementation, alumni identification & training, healthy chapter environments, co-curricular and growth are the main priorities of the organization. The fraternity is focused on academic achievement, leadership development, and lifelong friendships. 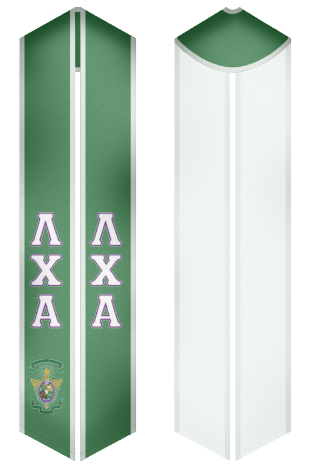 Buy a beautiful stole for Lambda Chi Alpha at our website and become the part of this wonderful fraternity!